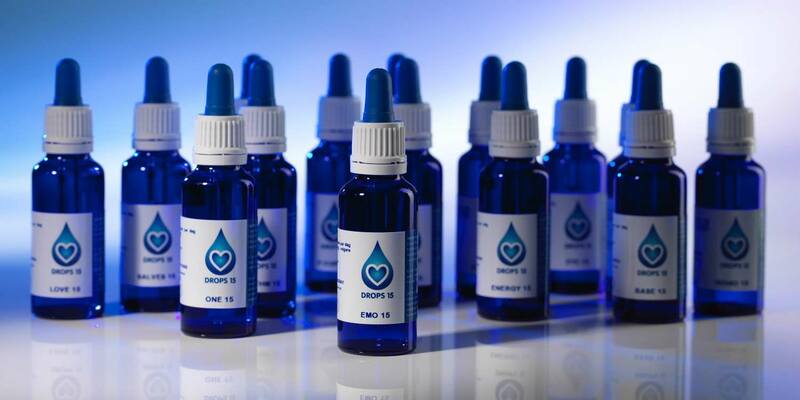 The range is made up of two sets, each set consisting of three bottles of DROPS 15. 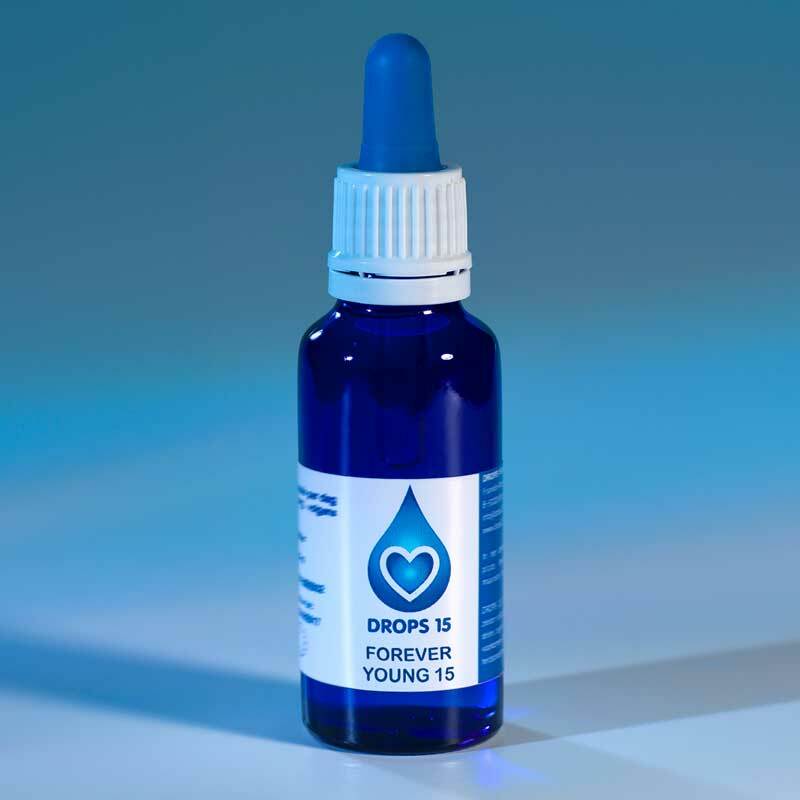 Our carefully selected and trained DROPS 15 therapists help you choose the product that will benefit you most at any given time in your life. All the remedies are truly harmonizing and transformative. To go forward in life and to go forward at full throttle, we need to let go of our mental, emotional and physical ballast. This gives our inner being the space to flow in spiritual, mental, emotional and physical unity. EMO 15, CLEANSE 15 and HEAL 15 support this process energetically. This modern rescue remedy supports us at times of trauma, emotional and/or mental fatigue, stress and anxiety. 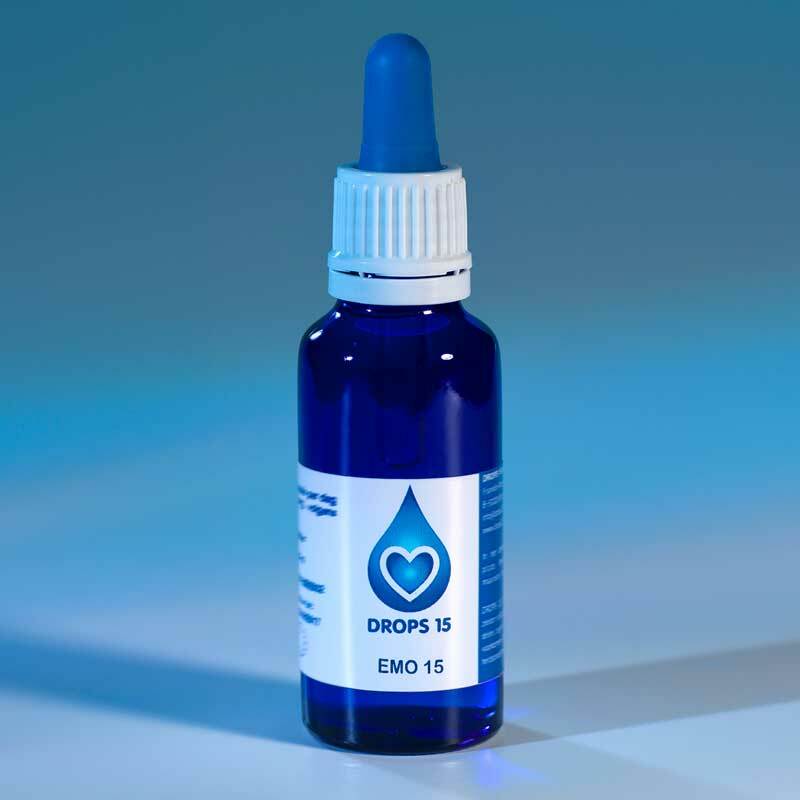 We strongly recommend that you take EMO 15 with all the other DROPS 15. Supports the body in cleansing and detoxification processes. Supports and strengthens cellular vitality. The space that is freed up can now be filled with new, conscious, loving energy and choices, and with balanced physical processes, functions and rhythms so that we can live more consciously, lovingly, happily and healthily. LOVE 15, RHYTHM 15 and FOREVER YOUNG 15 support this synthesis energetically. Stimulates the capacity for self-healing through the energies of love, balance and harmony. Helps balance all life’s rhythms. Supports the immune system by rejuvenating the cells energetically and slowing down their ageing process.